An experienced and qualified dental team. Pleasant surroundings and a relaxed atmosphere. A wide range of cosmetic treatments. To treat you respectfully and honestly. To attend dentist and hygienist appointments as regularly as is advised by your dentist. To advise us on any changes to your personal details and medical history. To pay promptly at treatment appointments when payment is necessary and to keep up to date with your monthly Denplan subscriptions. To contact us 24 hours before an appointment if you are unable to attend. When possible to contact us before 11.00am if you have a dental emergency. To treat our team respectfully. Failing to attend appointments and late cancelations. Customers who fail to attend there appointments are on the increase and this costs not only us but other customers as well as it leads to people having to wait longer to get an appointment. We therefore feel that is it fair to charge individuals who have failed to attend rather than to increase treatment and Denplan charges to all our customers who do regularly attend. These fees do not cover the costs of the lost time but are to as act as deterrent. We would however like to bring to your attention two reminder facilities that we have. One is a text message reminder to you mobile the day before your appointment. The other is a reminder by e-mail the week before your appointment date. For either of these services please give your details to the receptionist who will set this up for you. Please note that this service is free of charge as we are committed to helping our patients. However please do not solely rely on this service to remember you appointment as there have been occasional times when this system has failed. We do ask that all payments are made either before treatment or as soon as treatment has been completed. We do have to charge for following up outstanding accounts. Brundholme dental practice aims to offer excellent standards to our patients with the highest level of care. We have qualified staff members who are undertaking continuing professional development. Our Health and Safety, patient confidentiality and cross infection control policies are constantly being reviewed. The General Dental Council (GDC) is the regulatory body of the dental profession in the United Kingdom. Their address is 37 Wimpole Street, London, W1G 8DQ and their telephone number is 020 7887 3800.Our dentists and staff adhere to the rules governing the profession by the GDC as set out in their publication "Standards for Dental Professionals". You can find out more about the GDC on their website www.gdc-uk.org. Our practice fully complies with the Data Protection Act 1998. It is registered with the Information Commissioner's Office as Brundholme Dental Practice Ltd, registration number Z1188261. 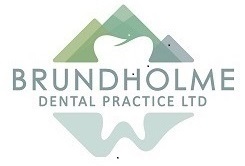 Our practice data controller is Brundholme Dental Practice. To download the ICO guide to data protection please click here. Our practice adheres to the standards for patient confidentiality as set out by our regulatory body the General Dental Council. You can see details of this by downloading their guide "Principles of Patient Confidentiality".